"Great Job Bill and Francoise. Words cannot express our appreciation for your dedication and hard work. We would like to say thank you for your professionalism and patience." "Imagine selling a home with two small children while your husband is away serving his country. Bill and Francoise made everything easy and STRESS FREE. They were able to communicate with my husband via email and Skype. They helped us relocate and even gave us a military discount. They understand the needs of military families and I strongly recommend their services. Thank you Myers Team." "As an investor who lives out of state, I hired The Myers Team to sell three of my investment properties. All three homes were vacant. They suggested that I not place a "For Sale Sign" in the front yard to reduce the possibility of vandalism. I would have never thought of that. Additionally, they secured the property, put padlocks on the gates to the backyard, and checked on the property weekly, providing me with updates. They sold all three properties above market value. All paperwork was handled electronically via email. I'm extremely impressed. They are the most professional agents I've ever worked with. The Myers Team are everything they claim to be on their web site (and more) If you need to sell an investment home in Las Vegas, I highly recommend The Myers Team." "The level of service we received from Bill and Francoise's team was outstanding. If your looking for a competent Real Estate agent who takes care of every little detail, then look no further than The Myers Team." "Rarely does someone make an impression to motivate me to actually sit down a write a letter about it. Well Francoise Myers has made such an impression. Francoise is remarkable. She make everything look easy. Her professionalism, efficiency and natural communication skills are simply amazing! I’ve never seen anyone so motivated, energetic, and positive as Francoise. What she does, you can’t learn...it comes naturally. She is just wonderful"
"We can’t thank The Myers Team enough for the great job you did marketing our house here in Sun City Summerlin. We don't know if it was due to your incredible prominence on the web, or your own personal charm, but there was never a shortage of potential buyers wanting to see our house. We suspect the key to your remarkable success is not only your wealth of experience in the real estate business, but also your unfailing warmth and graciousness. Just a hunch, but we have a feeling these are probably the reasons your office seems to run so smoothly and effortlessly." "This past Summer, my sister and I were faced with the emotional task of selling our mother's home following her death. The home was quite beautiful, however, my mother had collected an overwhelming number of personal belongings and artifacts over the years. We simply did not know where to begin. Additionally, my sister and I live out of state, which complicated the situation. The Myers Team took on this project with astonishing speed, elegance, efficiency and grace. The sale closed less than three months from the date we began working with Bill and Francoise. They handled every little detail, and helped restore our peace of mind. I would recommend The Myers Team, without any reservation, to anyone who wants to enjoy a smooth, profitable and stress free selling experience. I have bought and sold a lot of real estate in my life, but Bill and Francoise are, without question, the most competent, personable, and trustworthy Realtors I've ever met." "We have bought and sold dozens of houses over the past 30 years. Working with The Myers Team was certainly among the best agent experiences we have had. Great ideas, creative approaches, professional marketing and constant communication made this our best real estate experience. They sold our home in a few days with closing less than 30 days from listing." "We needed to sell our home quickly to claim the corporate incentives attached to our company's relocation package. We choose The Myers Team because they are the top selling agents in Summerlin and we were not disappointed. Our house sold in 8 days! Francoise's suggestions to stage our house and her marketing strategies really made the difference. Bottom line, we couldn't have done it without her and neither should you!!! Place your confidence in The Myers Team. They are the best!!!" "Francoise Myers is a sharp business woman and spares no expense in marketing your home. She presented us with an online marketing plan that was incredibly effective. I found The Myers Team web site online and figured anyone who is that proficient marketing their own business would hopefully market my home in a similar manner. Our home had numerous viewings. Most were out of town buyers that found us through the web. Francoise calls often to clarify every detail so you understand exactly what to expect. I've had agents supposedly working on my behalf in the past. I didn't know what superb service was until this transaction. I would clearly choose The Myers Team for every future real estate need. They are the #1 agents in several categories for a reason." "Never a worry. Everything ran like clockwork. In a world where people don't always do what they say they'll do, Bill and Francoise Myers did NOT disappoint. Job well done!!!" "The Myers Team came highly recommended. Now I understand why. They are true professionals. Selling a house is never easy...until you work with Bill and Francoise Myers. As a Senior Customer Service Director for a Fortune 500 company, I can honestly say I actually learned some new things about customer service from these guys. A+++ job." "My husband was injured in Afghanistan and we had to sell our home. Bill and Francoise Myers treated us with dignity, respect and compassion. They took care of our every need, and turned a difficult situation into a positive one. Not only did they sell our home, but they found us a new home perfect for our needs. It's rare to work with someone of this caliber. Thank you." "After having my home on the market for over twelve months and not receiving any offers, I decided to switch my home sale over to The Myers Team. They immediately provided their professional opinion on what was needed to sell my house. Not only did they have a lot of people going through the house but I also got an offer after a short time. I was very impressed. If I ever sell or buy a house again, I will be contacting The Myers Team!" "We were absolutely thrilled with our first time home buying experience with you. From start to finish, you made the whole process smooth for us, despite numerous obstacles that came up. When obstacles did arise, you couldn't have been a better advocate for us. We have mentioned to each other on multiple occasions that you will be the first person we will call when we are ready to buy our next house. We wouldn't hesitate recommending you to our friends. Thank you so much for all your help through the process. It wasn't as painful as I expected it to be and we're thrilled with the result." "OUTSTANDING JOB. The Myers Team did EVERYTHING they promised. After several months of unsuccessful negotiations with our bank, we hired The Myers Team and they were able to get our short sale approved. They were amazing. Their experience and professionalism got our family through a very difficult time. Thank you Bill and Francoise." "The Myers Team saved us from foreclosure. They STOPPED the bank from harassing us, and got our short sale approved!!! They DELIVERED on their promises, and made it happen." "After many frustrating months trying to modify our loan...we basically gave up and were prepared to walk away from our home. What a mistake that would have been. We met Bill and Francoise Myers and everything changed for the better. They convinced our bank (Bank of America) to approve our short sale. They provided HOPE to what appeared to be a "hopeless" situation. We are so pleased that Bill and Francoise were there to guide us through this difficult chapter of our lives. Thank you!!!" "Bill and Francoise Myers are the BEST!!! They listened and provided support throughout the entire short sale process. They knew how to talk to the banks, and they got RESULTS! 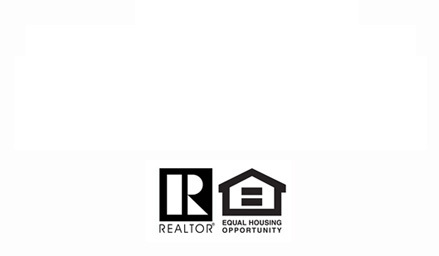 It's very nice to work with ethical and compassionate Realtors. Once Bill and Francoise took over, there was never a worry. Everything ran like clockwork." "I do not know where to begin. The decision to "short sale" our home was the hardest decision we have ever made. This was our dream home. When my job at Yucca Mountain was eliminated, we could no longer afford to make our mortgage payment. Calling the banks was a huge mistake. They were "cold" and could care less about our situation. Loan modification was a complete waste of time. We called The Myers Team and the rest is history. They got our short sale approved, and were there for us during the most difficult and humiliating time of our lives. They treated us with respect, and listened to our concerns. I cannot thank Bill and Francoise enough." "The Myers Team were thorough and professional in every way. Without question, you are the best. Simply Vegas is fortunate to have you." "Francoise Myers is an ANGEL. We would recommend both Bill and Francoise to anyone who might be considering a short sale. They are knowledgeable, professional, and showed the highest level of integrity. Francoise was always accessable to us and kept us informed throughout the short sale process. Bill and Francoise set the standard for EXCELLENCE! I really don't know how they do it, and still have time to raise five beautiful children." "Your guidance and knowledge of the short sale process proved to be right-on. We thank you for your professionalism." - Dr. Karl Van Gils M.D. "Bill and Francoise have gone above and beyond their responsibilities as our Realtors. Banks are not nice. Banks only care about themselves. The loan modification process is a complete sham. HAFA is a joke. Bill and Francoise Myers were a "breath of fresh air"...after wasting many months dealing with our bank. Anyone who has tried to deal with a bank knows how worthless they are. Our experience with The Myers Team was WONDERFUL. Banks will not help you. The Myers Team will. Shame on JP Morgan and God Bless The Myers Team. Thanks Bill and Francoise." "When my husband was diagnosed with cancer, our family was devistated. The medical bills were too great a burden to bear. We had lost all hope, however, we were recommended to The Myers Team by our Oncologist. Bill and Francoise (Francie) came to our home, and answered all of our questions. They were compassionate, emphathetic, and very professional. They treated us with respect while our bank ignored our legitimate requests for help. They got our short sale approved, and even came to the hospital during some difficult times. I cannot thank Bill and Francoise enough. Working with The Myers Team was like having a guardian angel. My husband has since passed, however, I am confident to face the future thanks to Bill and Francoise Myers. They unchained me from my financial burden." * The information provided is obtained from public records, it is deemed reliable but not guaranteed. The Myers Team are NOT lawyers, nor qualified to give legal advice of any nature.The Myers Team are NOT accountants, CPA's nor qualified to give tax advice. This web site is not intended to offer legal advice and all information contained in this web site is for information purposes only. All Myers Team clients are encouraged to seek the advice of a real estate attorney, and/or a qualified CPA. All of the information contained in this web site is subject to change. All site software, design, text, images, photographs, illustrations, audio clips, video clips, artwork, graphic material, or other copyrightable elements, and the selection and arrangements thereof, and trademarks, service marks and trade names (the "Material") are the property of The Myers Team™ and/or its subsidiaries, affiliates, assigns, licensors or other respective owners and are protected, without limitation, pursuant to U.S. and foreign copyright and trademark laws. The Myers Team™ hereby grants you a personal, non-exclusive, non-assignable and non-transferable license to use and display, for noncommercial and personal use only, one copy of any material and/or software that you may download from this Site, including, without limitation, any files, codes, audio or images incorporated in or generated by the software provided that you maintain all copyright and other notices contained in such Material. You agree not to reproduce, modify, create derivative works from, display, perform, publish, distribute, disseminate, broadcast or circulate any Material to any third party (including, without limitation, the display and distribution of the Material via a third party web site) without the express prior written consent of The Myers Team™. Use of http://www.NevadaShortSaleInfo.com and/or http://www.VegasShortSaleInfo.com and/or http://lasvegaslist4less.com and/or its licensors' Material is only permitted with their express written permission. You further agree that you will not disassemble, decompile, reverse engineer or otherwise modify the Material. Any unauthorized or prohibited use may subject the offender to civil liability and criminal prosecution under applicable federal and state laws..